With a wealth of wraparound views, relaxing thermal waters and a spectacular location this long, narrow spa town on the southern end of Lake Garda has been a choice destination throughout the ages, from Catullus back in the Roman era to Maria Callas more recently. Set on a long, narrow peninsula that juts out into the southern end of the lake between the Desenzano and Peschiera, Sirmione is one of Lake Garda’s most popular resorts. Accessed over the drawbridge and through the city walls, the town is quaint and charming with traffic free streets full of shops and eateries. Make sure you sample the amazing ice-cream on offer - there are more than 100 flavours and this is a great way to start an evening walk along the promenade. See our Restaurants and Bars pages for the best places to eat and drink. Use the tourist train for transport around the town or take the ferry and hydrofoil services to visit other lake resorts like Desenzano, Garda and Bardolino. There’s also a regular bus service and the towns on either side have train stations for access to Venice, Verona and Milan for an Italian town experience. The famous classic car race Mille Miglia goes through Sirmione every year and this is one of the lake towns to compete in the exciting Bisse races throughout the summer for the Flag of the Lake. Find out more about this and other events here. With water surrounding the land on three sides, many activities here are based on or by the lake and there are some lovely beach areas. The water is crystal clear and has regular quality checks, making Sirmione a favourite place for lake bathing. As well as its various historical and architectural attractions, Sirmione’s known for being a spa town. With its thermal waters boasting therapeutic powers, there are extensive spa facilities in the area. Relax and indulge in some treatments at luxurious Aquaria Spa - the views of Lake Garda in the background are amazing. For more information on what you can see and do, click here. Sirmione is well known as an archaeological site with a deep artistic and historical heritage. Its natural and historic surroundings have been widely praised in literature since ancient times by figures such as Catullo, Lawrence and Goethe. Right on the tip of the peninsula away from the hustle and bustle of the town, you will find the ruins of a Roman villa, the Grotto of Catullus, which has recently been excavated. The thermal springs, once used by the Romans were rediscovered here in 1889 and play a huge part in Sirmione’s identity as a popular tourist destination. The fairytale castle, Scaligero, has an inland dock and is the perfect place to enjoy the best views of Simione and Lake Garda. There are also plenty of churches and villas to be explored at leisure. Find out even more about the history of Sirmione here. When is the best time to visit Sirmione? Thanks to its position on the sunny south end of Lake Garda, Sirmione is more sheltered than the windier, northern towns, which means that even if you’re visiting in early summer or after the summer season, you’ll feel the full warmth of the Italian sunshine. Quieter months to visit Sirmione are May and October and two of our favourite months to book a holiday are June and September, when the weather is lovely and warm. For the hottest, sunniest weather with the most daylight hours, stay here in July or August, when the average temperature highs are around 30°C. May is a quiet time of year to book a holiday here and Sirmione usually feels warmer than other towns on the lake. Read about climate and things to do in May here. We love the warm, sunny weather in June which is perfect for lazy afternoons by the lake. For climate info and ideas of what to do in June, click here. Book a holiday in July for hot Italian sunshine and long days on the lakeside. 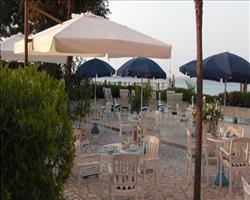 Find out more about what Sirmione’s like in July here. August is the most popular month to visit, so if you like a buzzing atmosphere combined with hot weather, book your holiday in August. Read more about Sirmione in August here. The intense heat and summer crowds have usually thinned out in September. For more information and September deals click here. October is a lot cooler than the summer months with average highs of 20°C. 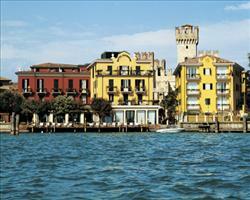 Find out what Sirmione is like in October and browse our holidays here.